Brilliant ! The presentations also. I look foward to the part on sugars. That said, I will always most remember you for your statement ‘ There is no dietary requirement for carbohydrate.’ Which had a huge impact on me, but that’s another story. Sorry for late answer. This slipped through the cracks someplace. Anyway, thanks for the comments and glad that I was the one the brought you the info on carbohydrate. I don’t know about outrage but in nutrition, it’s not widely used. Professor, I found your brief overview of this topic to be profoundly lucid and concise. What I find even more commendable is that you invested your valuable time to assist an unknown, apparently struggling individual understand what for you is clearly an elementary bio-chem problem while knowing full well you would/could never be repaid/reimbursed. What an unselfish and compassionate act. You are more than a scholar and a gentleman…you are an Educator—-with a capital E. My expectation, basis this first encounter with your obvious talents? Your students look forward to each lecture you present and your Institution is delighted you remain a member of their faculty. Flattery will get you everywhere. Haven’t thought about cyclobutadiene in a while. Nice, refreshing my chem .. working on … the Centenarian Diet, which has the elements of the Ketogenic Diet. There is much more energy in fats than carbs, Plus less by products and oxidation. Like the diagram as working out the Methylation Cycle and how Triglycerides and Krebs burn fats vs carbs. 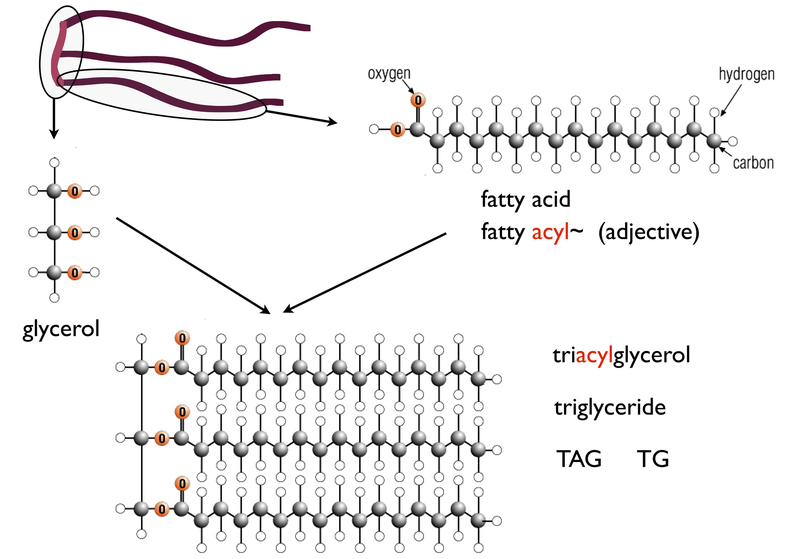 Going to use the TAG cycle ..
My husband was treated many years for high triglycerides. They were seldom in a normal range and at the highest, were over 1800. It got to the point that blood tests had to be sent to a special lab to deal with the amount of fat in his blood. No medications helped. Niacin didn’t help. Very high doses of fish oil didn’t help. Finally, despite his doctors not recommending it, we went on the Atkins diet. From that time on, his triglycerides were much lower and often in the normal range. In addition, he and I both lost 50 lbs. each. …and you’re still alive. Amazing. Thanks for your comments.